Asuka, or better known to her friends as "Asukey" spent her youth living in Japan and the United States (14 years), being exposed to the unique cultures of both. After finishing graduate school, she had a stint working for a tourist board, followed by a job at a broadcasting company, where she helped create content for a bilingual children’s show. She started yoga as a means to find inner peace within, and having personally experienced its benefits on both the body and the mind, she delved deeper in to its studies. Seeing yoga’s great potential not only as a means to cultivate inner peace among more people, but also to bring positive impact and change to better our communities, societies, and the world, she took a big leap and enrolled in teacher training. She hopes through yoga she can serve to help people connect with themselves, as well as with each other. Born in Fukuoka. At age of 14, Yumi started off her journey with dancing. 2014 was her first time step onto the yoga mat, and fell in love with the spirit and idea more than a workout. She was inspired and grateful for many gifts she has received and found through yoga practice, when she chose a path to share her experiences. Certified RYT200 in 2011, she’s humbled to share her love and experience for yoga with others. 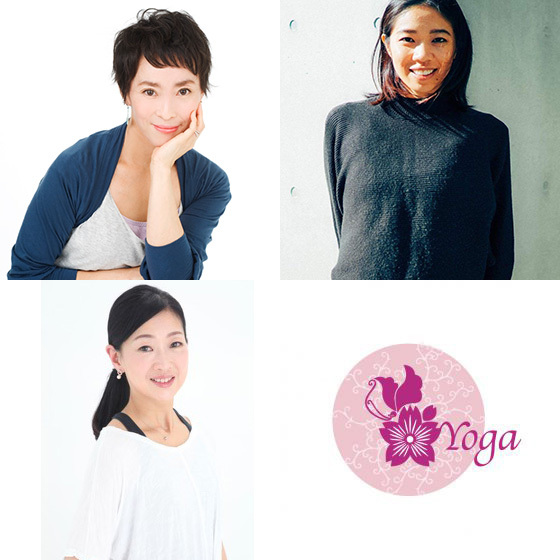 She teaches Hatha yoga, restorative yoga, prenatal/post-prenatal yoga and baby massage classes on a regular basis at Culture centers and Yoga studios in Tokyo.